I have been nominated for a Spotlight Award for Best 2-Dimensional Artwork! The Spotlight Awards are sponsored by Spotlight magazine, a local arts and culture magazine in Portsmouth, NH. The awards ceremony will be April 23rd starting at 7pm. More information about the show and the awards can be found on Seacoast Online. 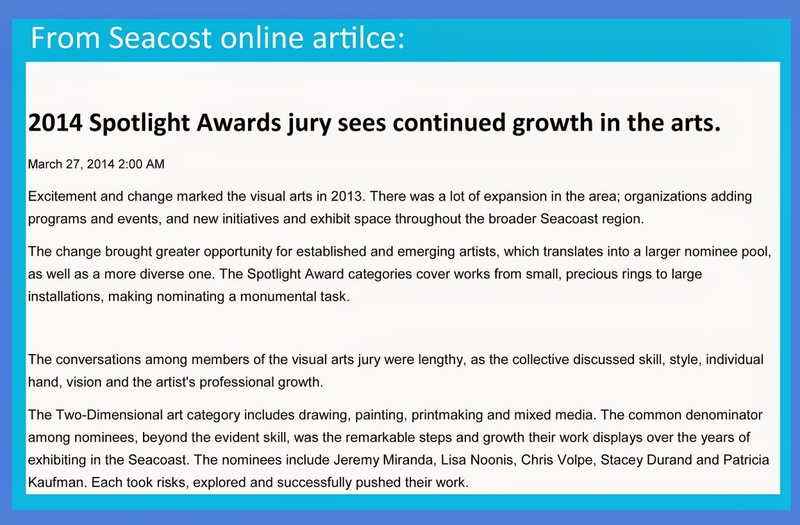 An article about all of the artists selected can also be found on Seacoast Online. I have included a quote from the article referenced in the link above here.